We specialise in Interior Architecture for bars, cafes, restaurants, retail stores and offices. We know that every project is different so we'll always tailor our scope of services to suit you and your project....we can manage the whole project from planning to move-in day, enabling you to get on with your day job; or we can just help out where you need us. We want to understand your business, your brand and your culture. How does your current environment perform, and what aspirations do you have for a new environment? We'll work with you to create a clear design brief, and key deliverables for your project. 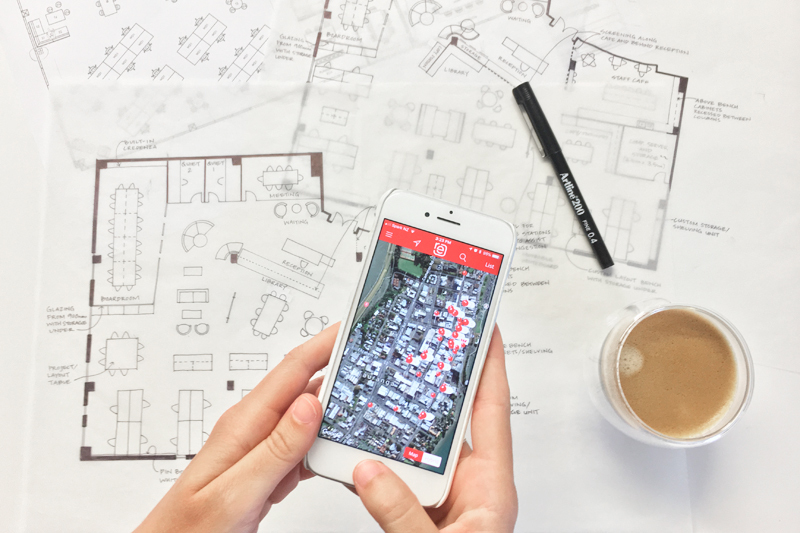 We can look for real estate solutions that meet your requirements and can compare and evaluate any suitable options, including preparing sketch layouts to show how your business might fit into any shortlisted premises. We explore how to make the best use of your space by preparing a series of layout options... We look at where walls and services should go, how to utilise open plan areas, and the best way to arrange furniture. 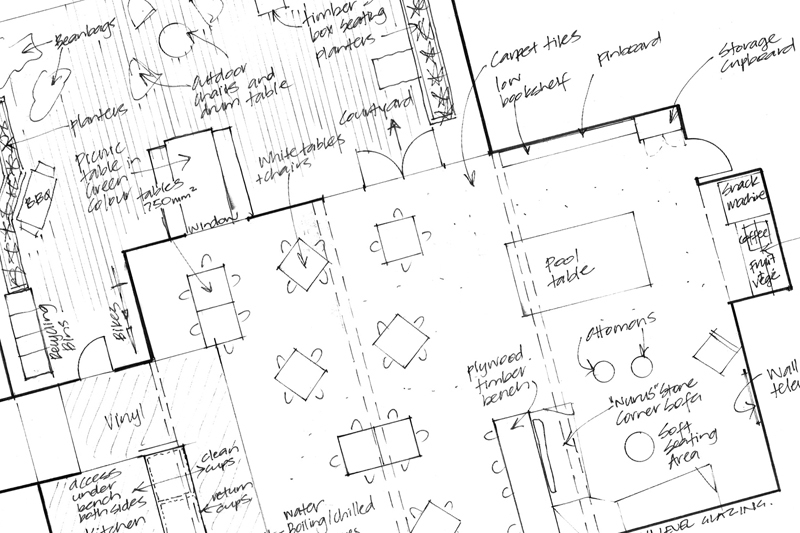 We can prepare concept sketches and collate sample imagery to help our clients visualize what a space will look like. In developing the design we detail walls, feature ceilings, counters, built-in cabinetry, kitchens and bathrooms; and select all the lighting, furniture and finishes - flooring, wall coverings, paint colours, cabinetry finishes, kitchen/bathroom fixtures. We prepare full architectural working drawings and specifications, and co-ordinate any required consultants reports for council, pricing and construction. We can manage the building consent application process, and can also co-ordinate pricing, or arrange a tender process to get a competitive fixed price for the fit-out works. The interior architect can then oversee the construction of the project on site, answering any queries from contractors, checking details and ensuring everything is built as intended. We also order and co-ordinate delivery and installation of furniture, feature lighting, signage, artwork and accessories.